CM 14 for Nexus 5: The legendary Nexus 5 which has hardware that can run any Android version has got it’s hold on Android Nougat. When Android 7.0 Nougat officially dropped on Monday for Nexus devices, a few were missing from the list. Nexus 5 were officially out of the running for an official Nougat update from Google, although they will likely still receive monthly security patches for a while. Hammerhead owners stuck on Android 6.0 Marshmallow didn’t have to wait long for somebody to do what Google wouldn’t, of course. Thanks to Santhosh M who has come up with almost stable Cyanogenmod 14 (CM 14) ROM for Google Nexus 5. As the ROM is an unofficial build, we would not suggest you to use it as your daily driver. There’s no such official news from Cyanogenmod for any Official CM 14 release for the Nexus 5; but who cares when you have such great developers. And almost everything that you ask from a custom ROM. This ROM is only for Google Nexus 5 (hammerhead). Please don’t try this on any other smartphones. Step 1. Transfer the downloaded AOSP ROM & GApps zip in Nexus 5 & Turn off / Switch off your device. Step 2. To boot into TWRP recovery press & hold volume down and power button. Press the volume down button until it shows “Recovery mode” & press Power button to select. Step 3. 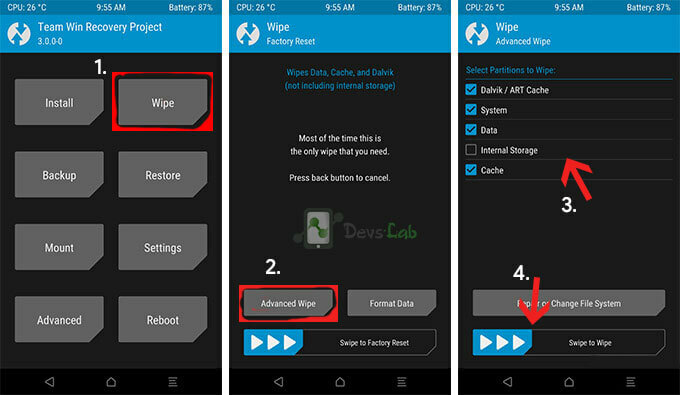 Do not forget to perform a nandroid backup, Goto backup option in TWRP and select all the partitions including System, Data, Boot, Recovery and swipe right to backup. The Nexus 5 is still a pretty great phone, even compared to modern flagships, and will likely end up kept alive for quite some time by the development community. Even though the ROM is completely stable & smooth, you might come accross some bugs which are not mentioned. You can report those bugs on the forum page of the ROM. How to Install Official MIUI 8 ROM in Google Nexus 5.